Tech Analysis: Could Sony Boost PS4 PRO Specs To Bring It Closer To Xbox One Scorpio’s? By now the PS4 Pro is more or less a known quantity. 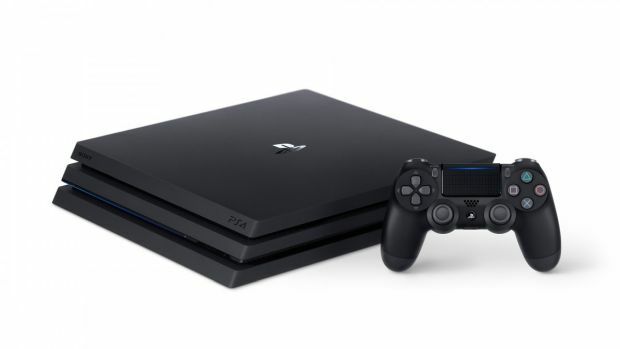 Sony’s detailed the new console’s technical specifications, but more importantly, demoed titles actually running on Pro hardware at the PlayStation Meeting last month and elsewhere. We have a reasonably good picture of what the PS4 Pro is capable of of. In line with expectations, it’s a reasonable, incremental upgrade over the PS4. While in most cases core visual assets don’t see much improvement compared to the PS4 version, most games render at a higher resolution, in the vicinity of 1440p, before being upscaled to 4K. Framerates are more or less the same, with some cases like Call of Duty: Infinite Warfare, where the original PS4 actually appears to have the edge in terms of a smoother framerate. This situation is due in part because of Sony’s platform parity policy: taking forward their claim that the PS4 Pro and the PS4 are both “PS4s,” rendering resolution is presently the only major difference between the two, in-game. This may very well change: If/when developers start targeting 1080p on the PS4 Pro, we’d see games with meaningfully better visuals and framerates than what’s presently available on the PS4. This is something well within Sony’s control, in policy terms. What’s less clear is whether, a month before release, they might consider tweaking the Pro’s hardware, especially in light of the looming Xbox Scorpio launch next year. To put it bluntly, the PS4 Pro is simply not capable of running AAA games at a native 4K, and at the end of the day, an upscaled image will never be as sharp in presentation as native 4K output. Microsoft’s key contention with the Scorpio is the very fact that it (should) be able to run at 4K, with visual quality that’s at least on par with what we’re seeing on the Xbox One right now. The PS4 Pro will have the market to itself for several months, and whatever marketing buzzwords may make you think, people’s subjective perception of the PS4 Pro’s image quality (and not whether it’s native or upscaled 4K), is what’s going to be the decisive factor. However, big part of the reason why the Xbox One conceded the sales race to the PS4 was because it was widely perceived as a less capable piece of hardware, with a substantially weaker graphics component compared to the PS4. On account of this, many multiplats (and even exclusives) rendered games at 900p on the Xbox One, resulting in a noticeably less detailed image compared to the PS4, made worse by the Xbox One’s upscaler which seemingly compensated for the resolution deficit by oversharpening the image. A lot of people bought PS4s because, at a given price-point, the PS4 simply offered a better visual experience in most multi-plats. With “Resolutiongate” still fresh in mind, Sony might be wary about releasing what is most certainly a less technically-capable console than the Xbox Scorpio. But with production well under way and less than a month to release, is there anything that Sony can viably do to up the PS4 Pro’s hardware capabilities? In the event of a last-minute spec bump, this is the single most likely thing Sony would consider doing. Because the PS4 is in production at the moment, it would be next to impossible to make meaningful changes to its hardware. With regards to the SoC–the CPU and the graphics component–Sony would’ve ordered in bulk from AMD well before the Pro hit the production line, so there isn’t scope for change. Even if they wanted to, Polaris 10 is the only reasonably-priced modern GPU design AMD has available at this moment: Vega’s not due til next year, and both Fiji and Hawaii (as seen in the Fury X and the 290X/390X respectively), are relatively massive 28nm parts that would cost much more per unit, besides consuming a lot more power. With a last-minute hardware revision ruled out, upping the clockspeed on the Pro’s GPU is the most straightforward performance boost that Sony could implement right now. Polaris 10’s desktop iteration, the RX 480, has a boost clock of 1266 MHz. Even when accounting for thermal throttling, our own testing has shown that the 480 runs at above the 1200 MHz mark most of the time. In contrast, the PS4 Pro’s GPU is clocked at just 911 MHz, 30 percent lower than the 480. Because there is a near-linear correlation between core clockspeed and framerates, upping the core clock on the PS4 Pro’s GPU could very easily translate into a 20-25 percent framerate boost across the board. As Infinite Warfare has shown us, the Pro evidently has trouble maintaining even PS4 levels of performance when running at higher resolutions. A bump to GPU clockspeed could help ensure that games run smoothly on the platform. On account of the move to the 14nm process, Polaris 10 makes substantial gains in terms of thermals and power consumption. Due to its beefier 310W power supply, the PS4 Pro offers 60W of extra power headroom as compared to the original PS4. In terms of power consumption, the RX 480 (at 1266 MHz) has a TDP of 150, just 20 watts higher than the Radeon 7850, the closest desktop counterpart to the original PS4’s GPU. Despite the increase in CPU clockspeed with the Pro, there’s almost certainly enough power headroom to up GPU clocks. Why? Because both the Pro and the PS4 feature a a pair of very low-power quad-core Jaguar CPU modules: the PS4 Pro’s CPU is essentially a pair of Athlon 5350s stuck together. The 5350 at 2.05 GHz is clocked substantially higher than the 5150, at 1.6 GHz, but both have a 25W TDP because those low profile, low performance Jaguar cores simply do not use that much power. Moreover, the PS4 Pro’s substantially larger chassis would dissipate excess heat better. Upping GPU clocks is win-win: higher performance would take some of the wind of Microsoft’s sails before the Scorpio even comes out, and this is something that’s easy enough to be delivered via a simple firmware update. Do you think Sony will tweak the PS4 Pro at the last minute? Let us know!